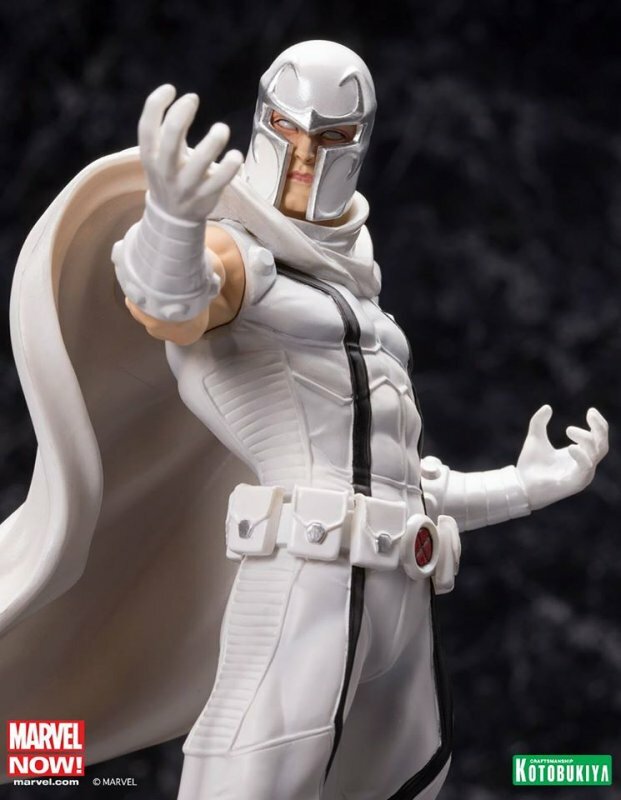 There’s a brand new 1/10th scale figure of the man with the magnetic personality, Magneto. 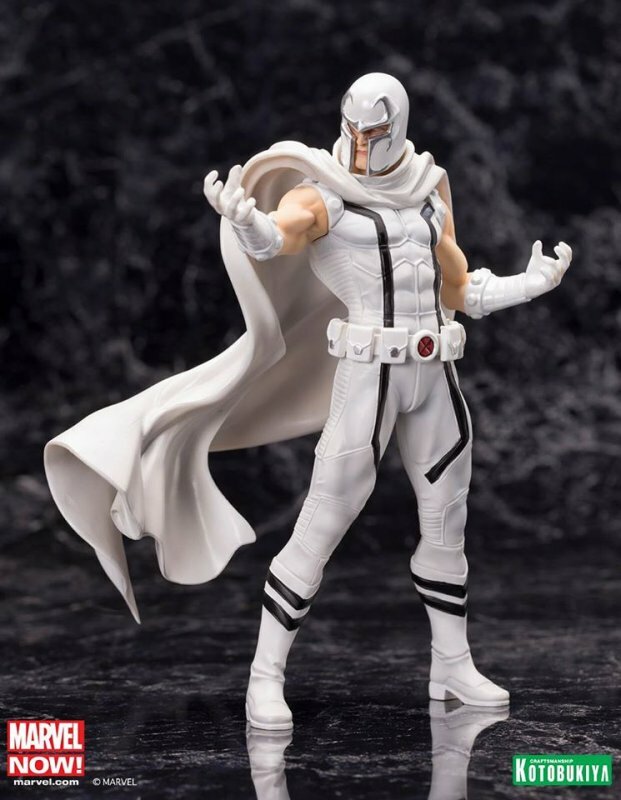 This version of the X-Men’s nemesis is based on his Marvel NOW appearance, and is sculpted by Junosuke Abe. 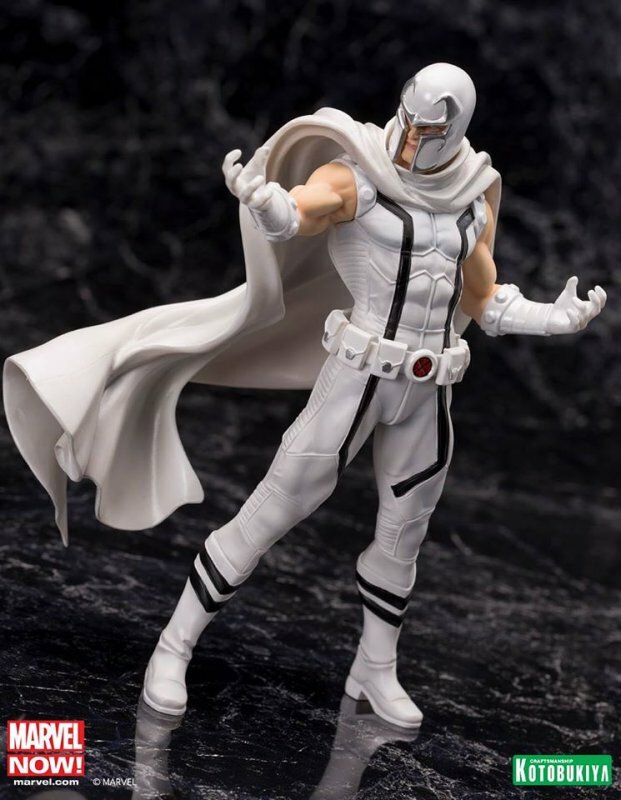 This white and black costumed variant is a Previews exclusive, and will be joined this new year by Cyclops, Beast, Emma Frost, and others yet to be announced. 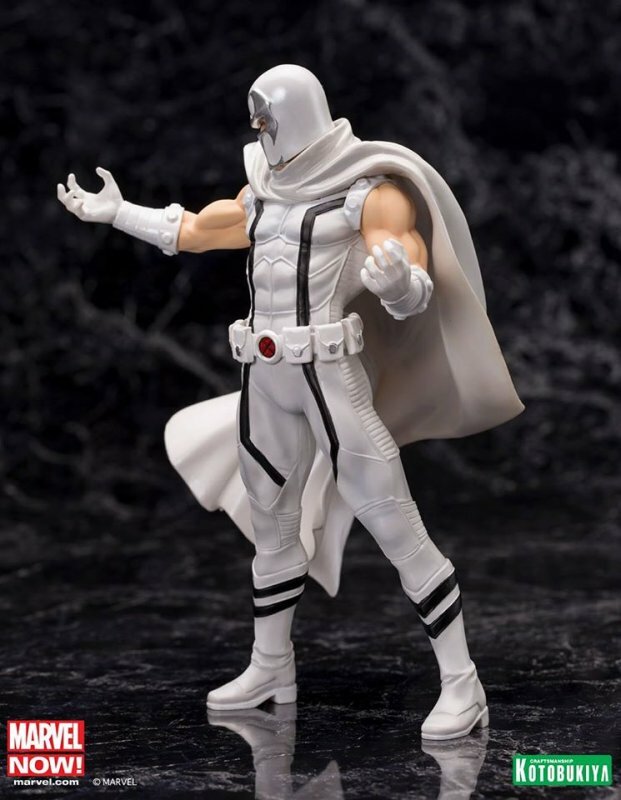 He features his iconic helmet and cape, and is posed ready to do battle. 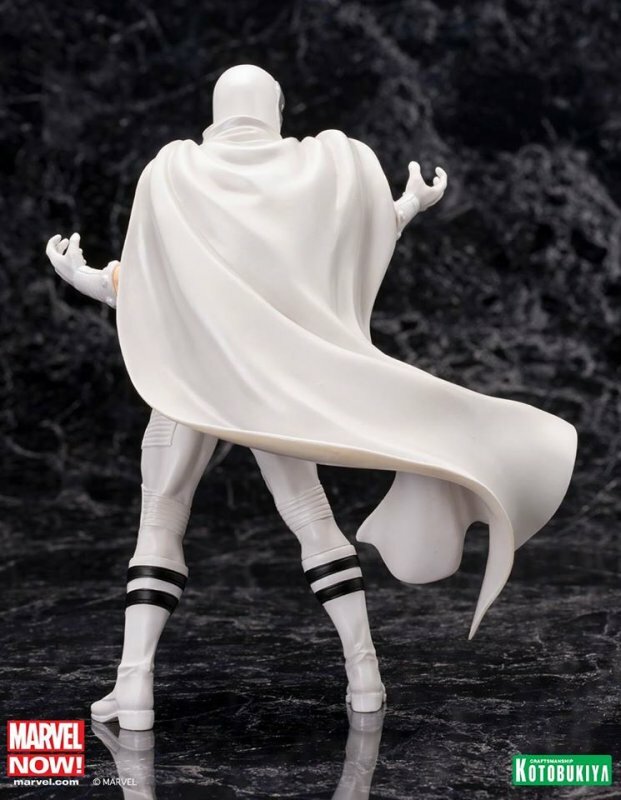 Snag him while you can, because pre-orders are selling out fast. 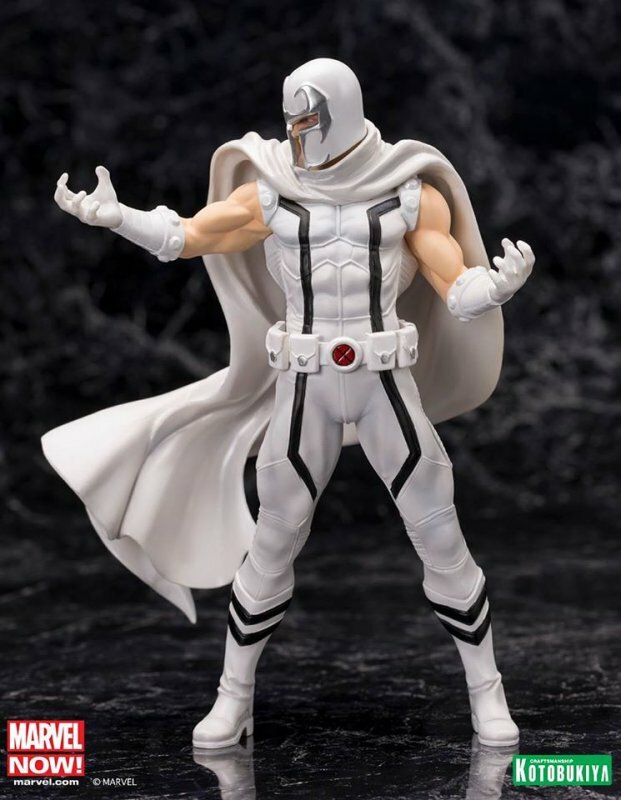 For this and all other Kotobukiya and Marvel news, stay tuned to The Outerhaven. David Kirby writes about pop culture and tech and can be found at Bardist. He grew up adventuring in the great outdoors with Snake Eyes, Optimus Prime, and Boba Fett.